There are a lot of reasons why gel manicures are preferable to regular nail polish. Gels last so. much. longer. than not-gels. They don’t chip. They stay shiny for weeks. And most importantly, your nails are dry when you leave the salon, so there’s no risk of messing up your new nail look. But there is a downside: A set of gels isn’t cheap, and it’s not really something you can DIY at home — until now. Get yourself your very own gel polish curing dryer in today’s Amazon Gold Box for just $32, and take your next gel manicure into your own hands. 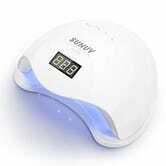 This SUNUV 36-watt Nail Lamp Dryer has all the bells and whistles of a salon-quality dryer. 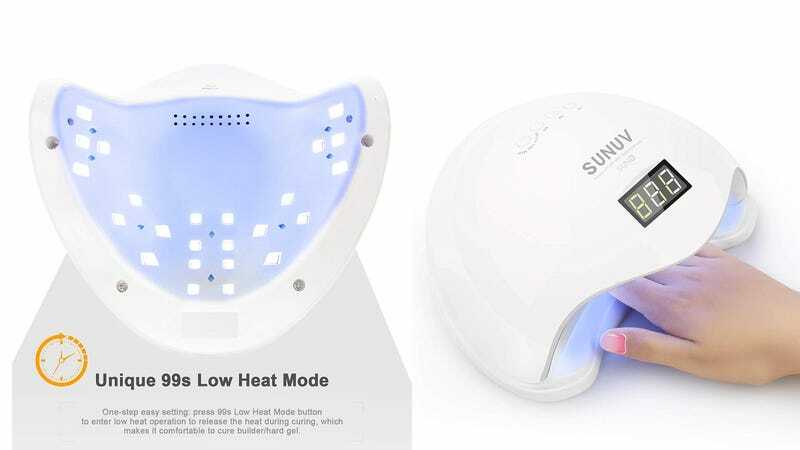 It works with both UV and LED gel polish, boasts a low heat mode for maximum comfort, and has a smart sensor that automatically starts the built-in timer once you put your hand in. Overall, this deal really nails it.